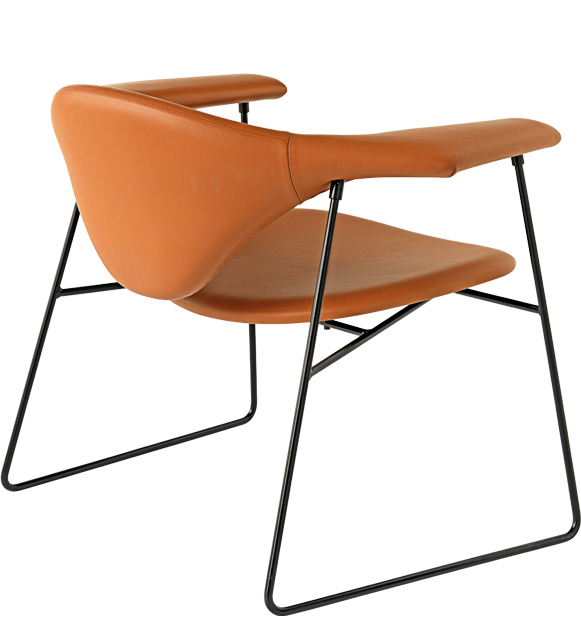 The Masculo lounge chair design is marked by contrast. The distinctive, expressive backrest expresses an almost aggressive masculinity, whilst the slender supporting metal frame simultaneously embraces sophisticated, quasi-feminine detailing. The rod structure of the chair and the lounge chair is made from steel, powder coated in black or in chrome. 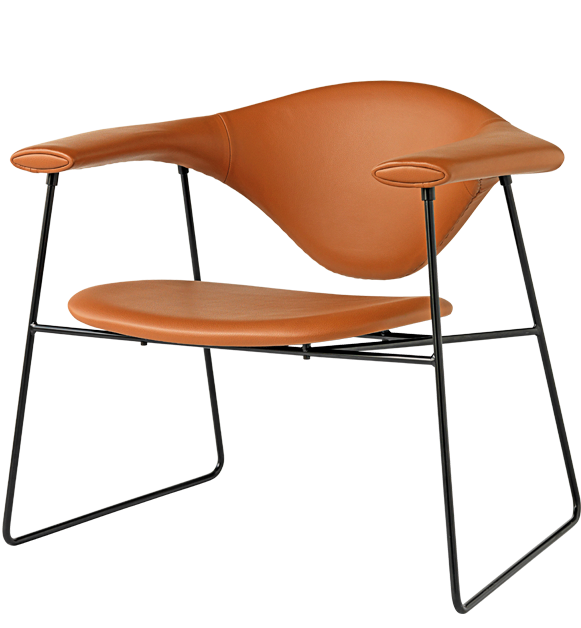 The seat and back is available in upholstered fabric or leather. Dimensions (HxLxW) 65 x 82 x 69 cm. Seating height 35 cm. Design: GamFratesi. Design partnership, GamFratesi embodies the meeting between Italian and Danish design. The considered and minimal approach of the Danish design tradition is combined with a sense of quirkiness and the desire to tell a story. 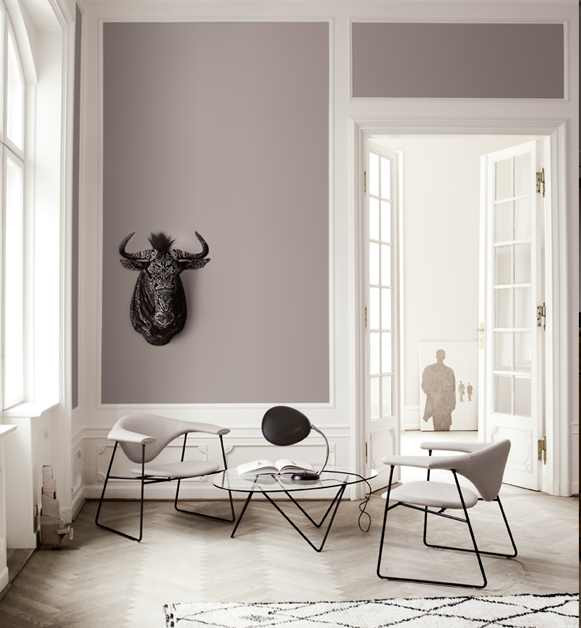 With GamFratesi the contrasts are often key to their inspiration. They work strictly within the Scandinavian approach to craft, simplicity and functionalism but there is always a strong emotional pull towards concept and the story behind each piece.When design connoisseurs try to predict who is going to be the next Arne Jacobsen or Hans Wegner, GamFratesi comes high on the list and since the parnership formed in 2006 GamFratesi has received a long list of design awards. With GamFratesi’s Masculo lounge, designed in 2006, and Masculo chair, designed in 2011, we see the emergence of a new, potentially classic furniture series from Gubi.